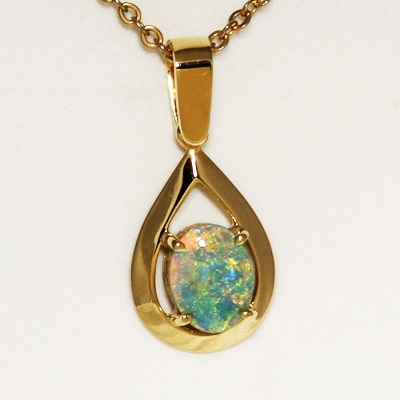 18k Yellow Gold Pendant with SEMI BLACK Opal. 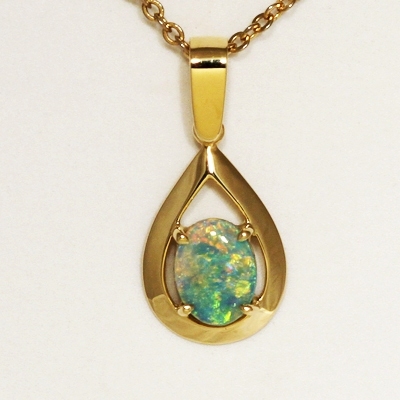 Top quality beautiful 18k yellow gold pendant professionally finished by our jeweller. 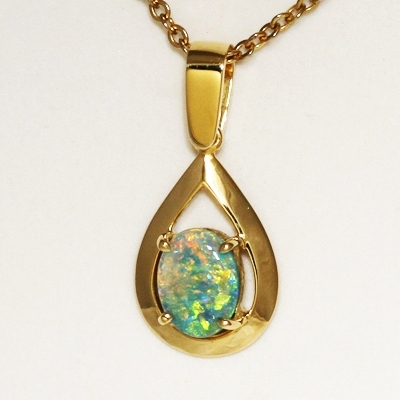 Bright and sparkling fire of orange, green and blue, the colours mover through out the opal in a 3 dimensional pattern.Always showing full fire. Great in all lights.